We had a great time in Book Week. The theme was “Read Across the Universe”. We got to see lots of people dressed up as Book Characters. The most popular character was Harry Potter, Specky McGee and Billie B Brown. It was really fun and lots of people dressed up as cool and funny things. Across the school there were four Andy Roids and two of them were in 3TM. For the activities we did in class, we used our imagination. Our activities were based on Herman and Rosie by Gus Gordon. One of the activities was to create a collage of New York at night. We also sent our friends a postcard from New York. We were focusing on New York as Herman and Rosie’s story was set in New York. We read to our buddies in our classroom in the afternoon. It was such a fun week! Thanks to Miss Y for organising such a great week! This week Ms. Tieppo asked us what we thought a scientist looked like. We had to think about what scientists might do, what they wear and what equipment they would use. Have a look at our fabulous drawings! What do you think? Are we on track? This term our school has introduced ‘buddy’ grades. We are now Buddies with the Year One class, 1C. Our 3TM class and 1C make time to catch up and do special activities. We have met a few times throughout the term to get to know each other. We have loved spending time with our buddies and often look out for each other on the playground. Today we loved the Art activity we did together. We helped our buddy make a special air balloon. Our faces and names went on the special balloons and then we attached some string. The string was a little bit tricky. It was a special day! Today we were very lucky to have some of Zoe’s friends come to visit our school. Zoe comes to our school on Tuesday’s and she is at her other school on the other days of the week. We learned so many new things. The children rely on their senses because they find it hard to communicate the same way we do. Nola from Belmore introduced us to all the students and showed us special things that are used to communicate. There was a box that has a special smell for each colour. One student used his iPad to listen to sounds that made him happy. There was a communication book where another student used the pictures to let her carers know what she wanted to do. We also listened to a special machine that would talk for the student. Each time he pressed a different button it said something new. We had a go at some of these communication devices. We had to close our eyes and use the sensory cards to guess who the students might be. Nola also showed us a Photostory of all the special activities they do at Belmore. The students do lots of exercise each day and they also do fun things like painting and music therapy. We just loved having them visit our school. To finish off our time with our friends, we sang Zoe’s favourite One Direction song, “What Makes You Beautiful”. Zoe just loved it! What did you like about this special visit? What did you learn? Hi everyone. We are Guest Writers for our class blog this week. 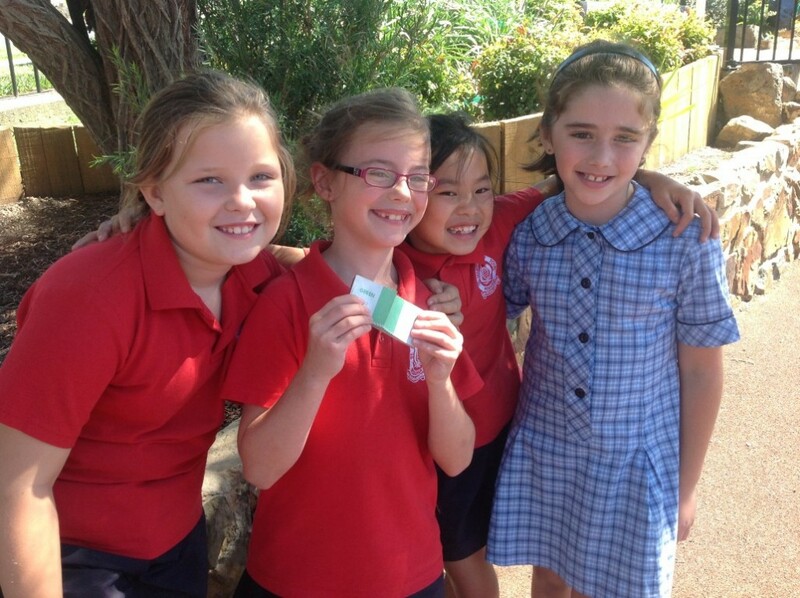 We held a raffle to raise money for the students in Grade 2/3 at Dunalley Primary School in Tasmania. Their school was burnt down in the school holidays. We would like to thank everyone who bought raffle tickets. We raised $91:80 for the people in the Dunalley School to buy helpful school products. Thank you again for all the people that helped. On Friday Steph came to visit our classroom. She has worked with communities in Lombok in Indonesia. Steph enjoys volunteering and teaches English to many of the children and adults in the village of Semabalun in Lombok. She showed us many pictures of Indonesia and we learned so much about their culture. Steph taught us about their traditions, food and their schools. In the wet season, the children get carried across the river on their shoulders so that they can walk to school on the other side. It takes them about an hour each day. We wrote letters to the students in Semabalun as the Internet connection is not very reliable. Steph will translate these letters and post them to the children in the village. We hope that we will get a reply from them. Steph is going back to Indonesia soon to help these children with their English. After leaving, we worked as teams and brainstormed all that we had now learned as a result of the visit from Steph. We really enjoyed the session and learned so much. “I am so excited!” “I am going to put lemon and sugar on mine” ” I love eating my pancake with jam” “I help my mum and make pancakes at home” “Look at all the bubbles on the pancakes!” These are some of the things we heard in our classroom today. 3TM was very happy to make delicious pancakes with lots of different toppings. We learned that Shrove Tuesday is the day before Ash Wednesday and the start of Lent. ‘Shrove’ – as in Shrove Tuesday – stems from old English word ‘shrive’, meaning ‘confess all sins’. It is called Pancake Day because it is the day traditionally for eating pancakes as pancake recipeswere a way to use up any stocks of milk, butter and eggs which were forbidden during the abstinence of Lent. Did you eat pancakes on Shrove Tuesday? what topping did you like best? Many congratulations to our new 2013 Student Representatives, Ty and Annabel. 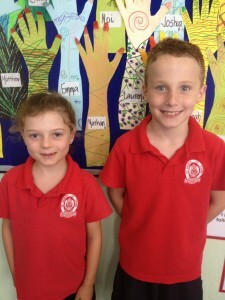 Quite a few children in 3TM were nominated and after our class voting, Annabel and Ty were appointed to their position. It is a special job because they will take our views to the School Meetings and then relay back to us important information about decisions being made across the school. 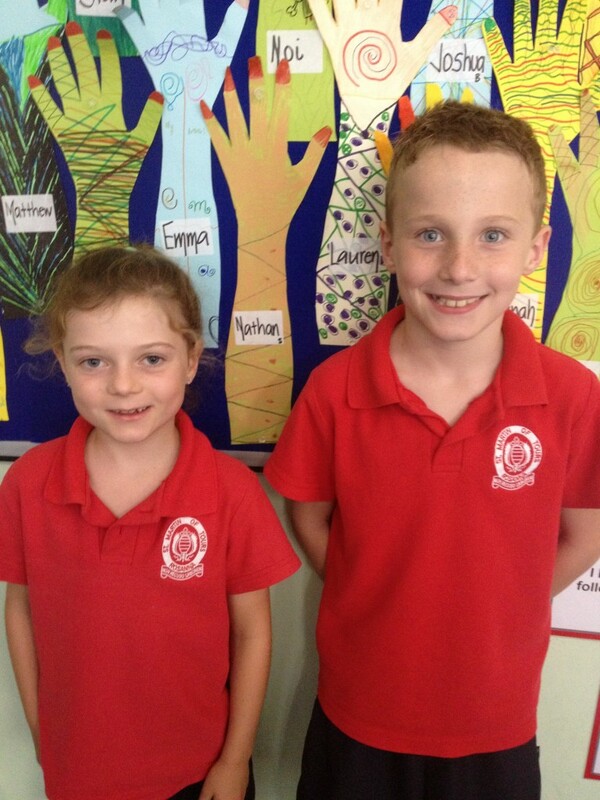 Ty and Annabel are looking forward to receiving their new badges! Starting A New Year in 3TM! Welcome back to our 2013 new school year and our first post for 3TM. Over the past few days at school, our class has worked together to get to know each other. 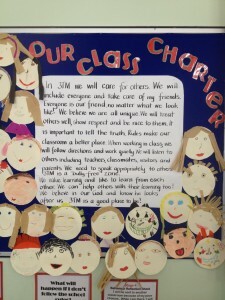 We have also worked on developing our own “Class Charter”. Each student was asked to think about the types of things that are important in making 3TM a great classroom. We thought about how we would like to be treated in our class. When we had written down 3 important things, we paired up with a partner to discuss our ideas. We came up with another list on sticky notes. Each pair then brought their sticky notes to the whole class discussion. From here we added these ideas to our own “Class Charter”. This was a great exercise as all students have contributed to this important agreement. 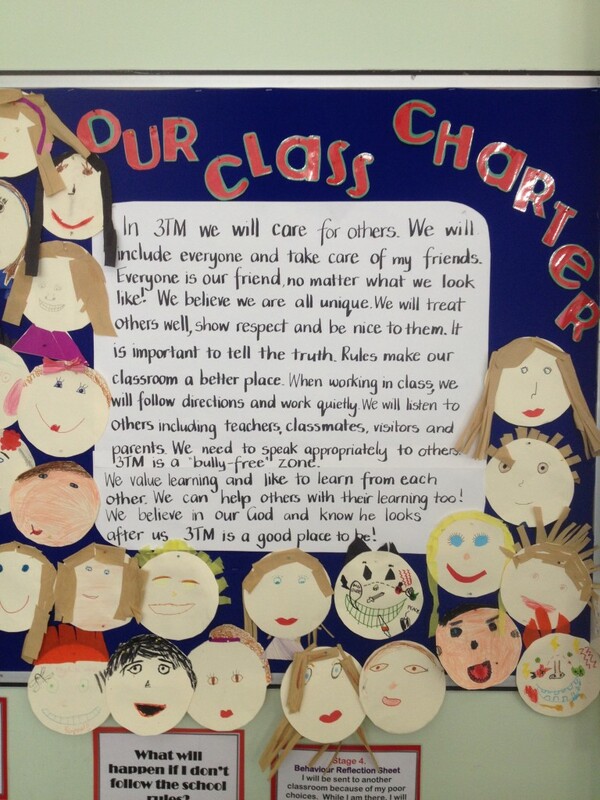 What do you think about our Class Charter? Do you have a special agreement for your classroom?